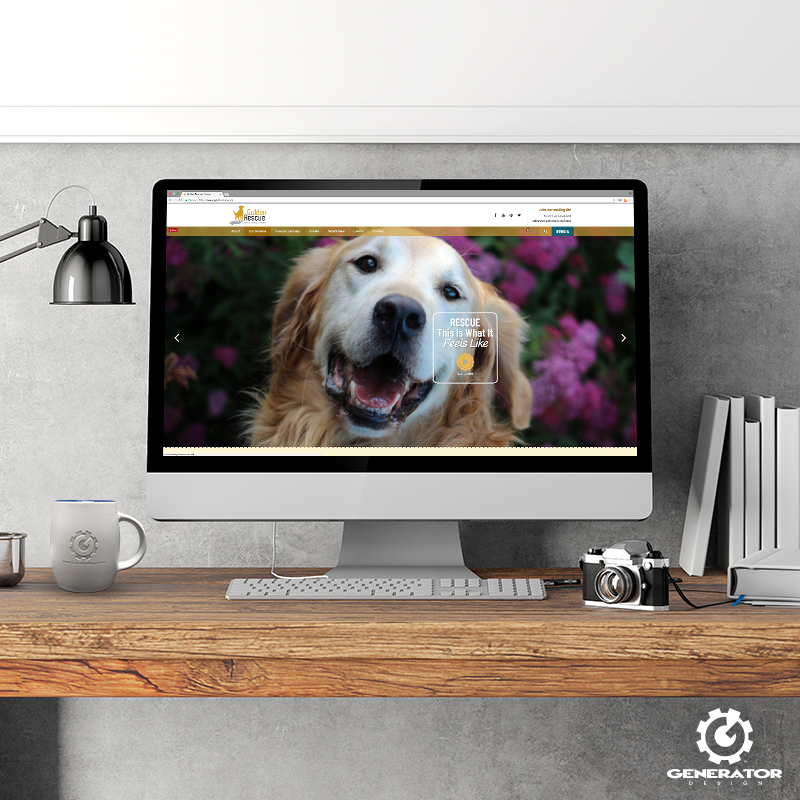 Golden Rescue, one of Canada’s largest single-breed dog rescue groups, approached Generator Design to create a new website. 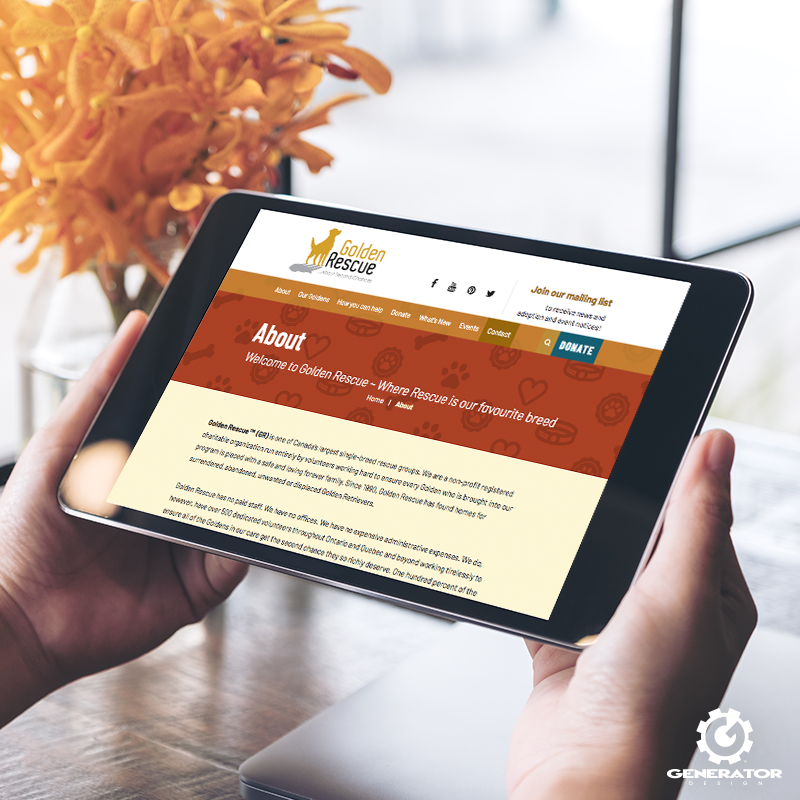 After researching existing websites to gain inspiration, we created a functional sitemap to organize their existing information and data in a clean and user friendly way. 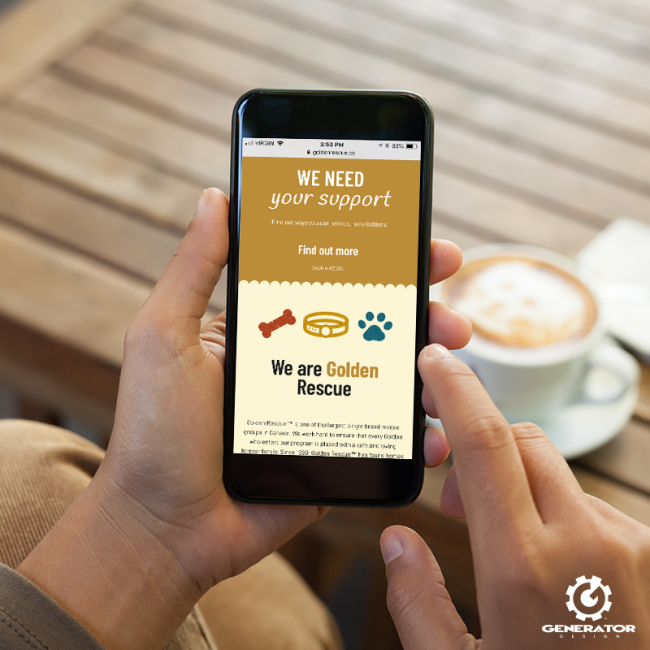 Once the sitemap was complete we moved along to creating a wireframe. This step was important, allowing for rough templating of the general flow of the site. A wireframe was made for the home page, general pages and the golden sections.